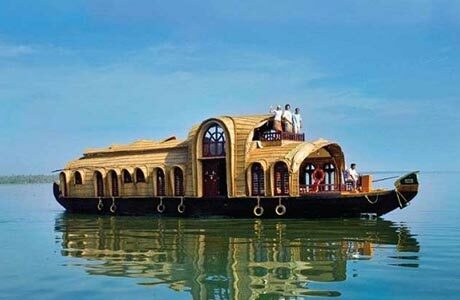 Kerala Holidays with Homestay tour is a joyful discovery of the real roots to this enchanting cultural destination. From the gateway to the Gods own country - tourists will be specially taken to the homestays where the absorptive malayali hospitality experience awaits them. Through this enchanting experience - they get to understand the intricate and intelligent blend of Keralas reception. May be that is why the state is called Gods own country. It has been attempted that as many homestays as available enroute should be incorporated in the itinerary - which lends it a high standard. 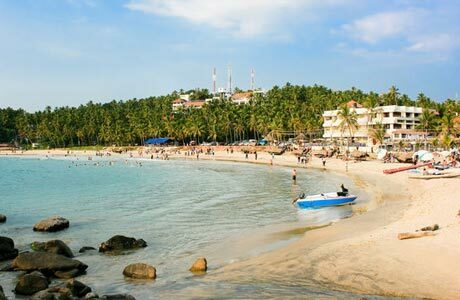 Another addition to the Kerala Holidays with Homestay tour is the incorporation of a Village Tour wherein tourists get to be a part of the rural life for an active day. Fishing - coir making - and other handicraft arts can be observed here in great zeal. On arrival meet our representative for assisted transfer and check in to the Thani Illam Homestay. Hosts for the day will be TS Parameswaran Namboothiri along with his wife Mrs. S. Saradammal. 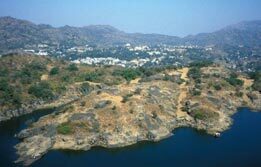 Both belong to the Brahmin Family and provide great homestay experience to the tourists. One will surely enjoy relishing home made Kerala Vegetarian Cuisine here. Enjoy the warm hospitality of a traditional Brahmin home (Non Veg and Hard Drinks not allowed). Later - continue Kochi city tour via a visit to Jewish Synagogue - Santa Cruz Basilica - Dutch Palace and Antique shops. Spot the iconic beauty of Chinese Fishing Nets. 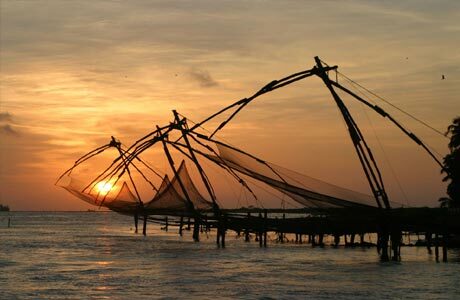 The remarkable thing about these fishing nets is that the medieval heritage nets are still used by fishermen - thus contributing to the heritage and cultural fabric of Kochi. Evening visit Cherai beach and overnight stay at Thani Illam. Bid a bye to the hosts at Thani Illam and proceed towards one of the most enchanting experiences of Kerala holidays - i.e. Backwater Cruise. But before that - check in the homestay at Kumarakom (Coconut Creek / Philipkuttys Farm / Cherucheril Cottage / Kaithayil Paddyside Nest). Here - tourists will receive an extended welcome from the natives of Kumarakom village. 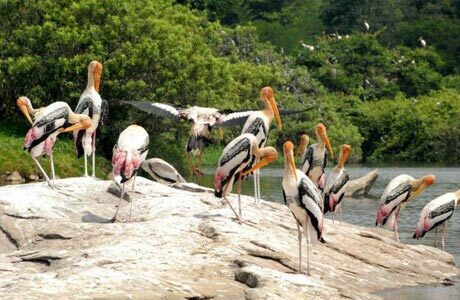 Continue Kumarakom tour via a visit to Bird Sanctuary. Tourists can extend their experiences in Kumarakom via an excursion to witness the village life alongside the canals. Tourists can be a part of daily life in Kumarakom via Duck Farming at Kaippuzhamuttu Bridge - Coir Making at Nalinis House - Paddy Fields - Mohan - Sebastian and Joychans Farms - etc. A treasured visit to the Thankappans House on the canal bank reinstates the fact that simple life has not changed here for ages. Sum up the day at Pallichira - where you can take a handmade country boat model - courtesy Kumarakom Responsible Tourism back home. Return back to the homestay and reminisce the day of exclusive and unforgettable experiences during a village excursion to Kumarakom. After breakfast at homestay - drive towards the houseboat on the Kumarakom Canals and check into the trance of backwater experience during Kerala Holidays with Homestay Tour. This overnight backwater tour brings with it incredible opportunities to connect with the true soul. Board the houseboat - the timeless cruise takes tourists to Alleppey through a full range of lives - activities and mind boggling scenery. This is not an ordinary boat but a fully furnished deluxe private boat equipped with spacious bath attached bed rooms - hygienic kitchen - dining space and private front deck to provide tourists with the finest backwater experience. Overnight in the houseboat. After breakfast - checkout one of the most awaited backwater experience in Alleppey and move towards Kovalam - an internationally renowned beach destination. Check in at the Karikkathi Beach House homestay at Kovalam for overnight stay. 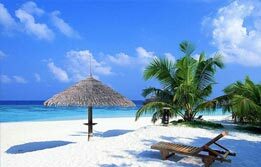 Day is free for tourists to relax and contemplate on the most renowned beaches of Kovalam. Return to the homestay for overnight stay. Begin village tour from Tourist Info Center Kovalam at 9.30 A.M. Attend the briefing session and move ahead to the village via car. 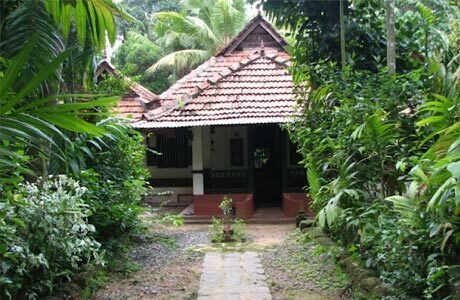 Stop at Gomathis house and see a typical Kerala home made of clay bricks and thatched with coconut leaves. Here - tourists can also observe the art of weaving coconut leaves and also even try their hand at it. Also - discover the excellence behind coir handicraft manufacturing - connecting womenfolk to the path of independence. Thanal Zero Waste Thanal Zero Waste Centre is another attraction of Kovalam. Managed completely by women - this centre aims to create awareness about Kovalam with less or no wastage through eco friendly initiatives. Visit to Rajus House will introduce tourists to the creation of a unique artifact - the raalkoodu (traditional fish trap) used for catching lobsters. Here - Raju will demonstrate the making of a raalkoodu - an eco-friendly fishing device. 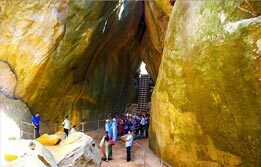 There is more to this enriching day that can be experienced via Kalarippayattu - where tourists can experience the ancient martial art of God's Own Country. 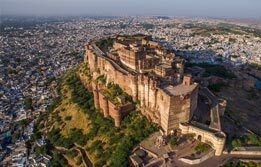 This oldest technique in existence employs strikes - kicks - weaponry and healing methods and provides a spectacular view to the visitors. 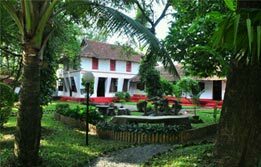 If tourists are feeling hungry here - they can satiate their appetite by relishing traditional Kerala cuisine featuring a sumptuous lunch on a plantain leaf at the village canteen. And still - if tourists want more in this village - they can visit the Handicrafts unit handled by exclusive women's groups. Here - the tourists can purchase the spectacular Kathakali masks made from waste newsprint paper. The shopping bug can be satisfied by visiting the handloom weaving center in the village. 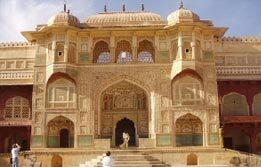 They can even see the artisans and handloom weavers in action while weaving the silk and fine threads of gold and silver. It takes a month for each weaver to weave and finish a single. If the entire day was overwhelming for the visitor - then worry not. The last excursion to Vellayani Lake is still there. This serene lake is a local fishing hotspot where traditional fishing techniques are employed. Try angling and other traditional fishing methods on the banks of this lake and unwind to the pleasures of village experience in Kerala. Overnight in Kovalam homestay. Full day is at leisure at Kovalam. 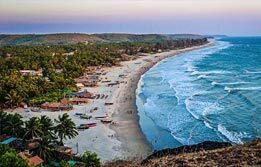 Spend the day on the alluring beaches of Kovalam. Return to the homestay for rest. After breakfast - drive towards Thiruvananthapuram - the capital of Kerala. Visit the most iconic attractions of the city via a visit to Napier Museum and Sri Padmanabha Swamy Temple. Proceed to airport for onward journey.